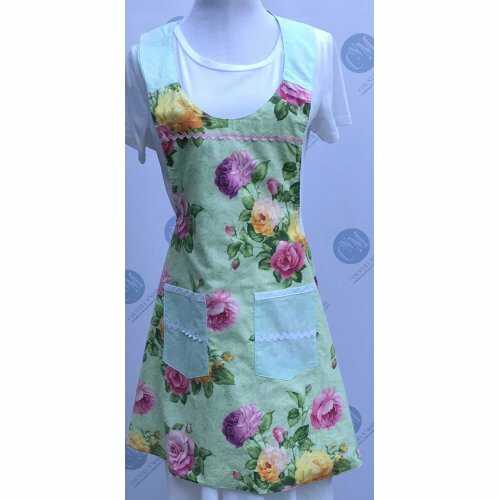 The front of this floral apron are gorgeous lavender, pink, and yellow roses set against a green background. The colors are so vivid and beautiful. The yoke, pockets, and straps are made from polka dot fabric. The pockets have been trimmed with rick-rack (see close-ups). 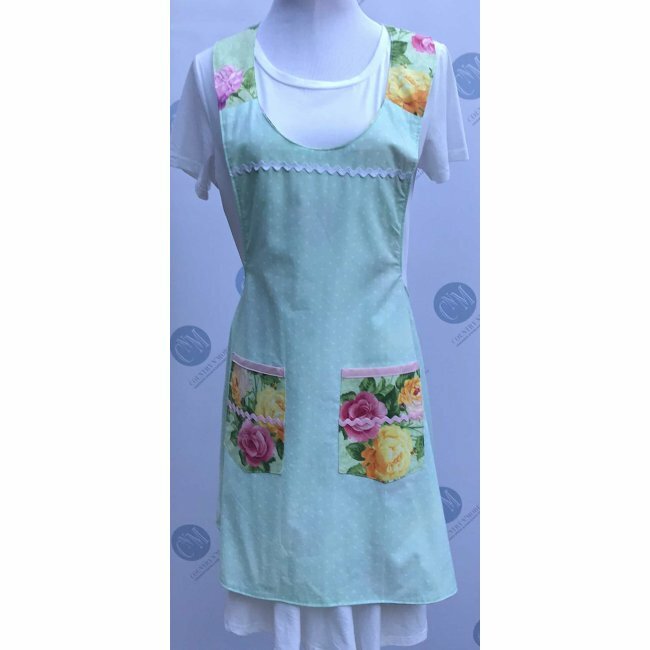 The reverse side of this vintage inspired apron is made from a soft tone green polka dot fabric. 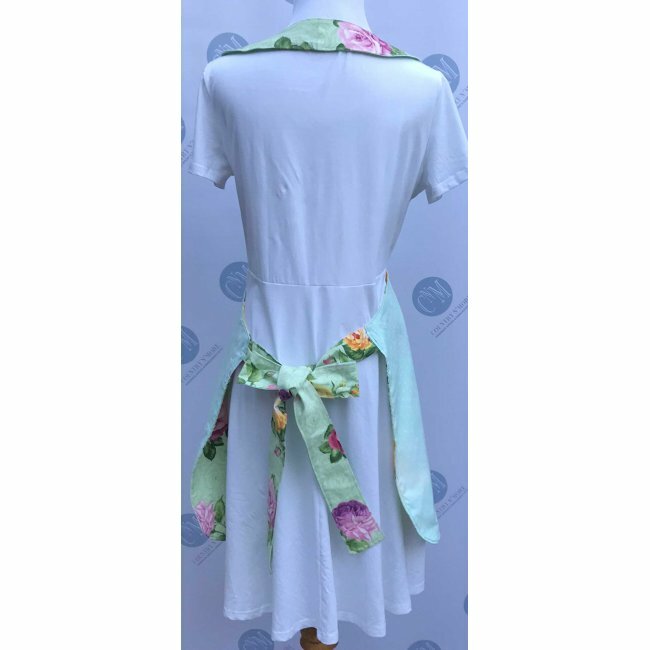 The yoke, straps, and pockets are made from the rose floral fabric. The pockets have been trimmed with light pink rick-rack. 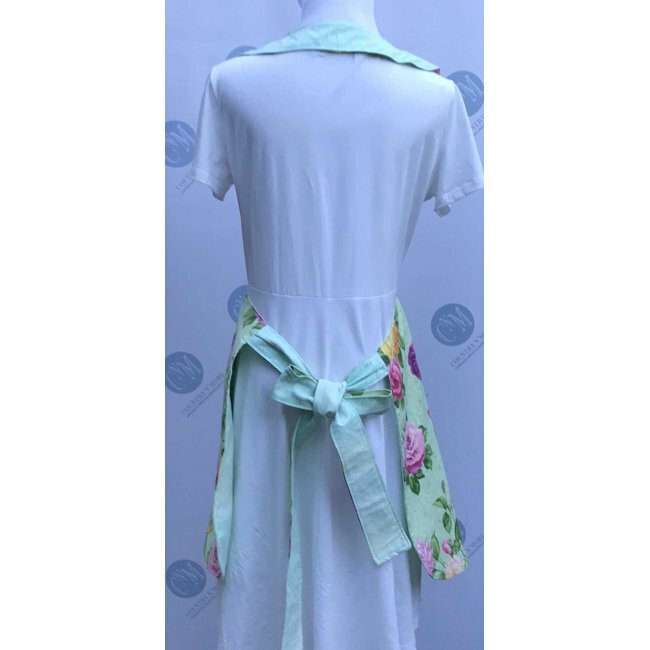 The same color rick-rack has been added to the bodice of the apron. The neckline has been trimmed with white seam binding. Measurement across yoke at bodice measures 11 inches.